In this page, Custom Blinds & Designs – with two convenient locations in Omaha and Lincoln, Nebraska (NE) – is here to tell you about the many benefits of Provenance® woven woods shades for homes. We proudly carry the full line of Hunter Douglas window treatments, including their gorgeous woven wood shades. Most people enjoy spending time outside, but between inclement weather and all the things we have to do in the house, it isn’t always possible. Woven woods are the perfect way to enjoy the beauty of nature in your home. At Custom Blinds & Designs, we offer beautiful Provenance® Woven Wood Shades from Hunter Douglas, and our friendly professionals can help you find the right style for your home. Provenance® Woven Wood Shades are created from organic materials, including woods, grasses, reeds, and bamboos to give you a natural, textural look in your home. We offer a variety of weaves and colors, so you can create exactly the look you want in your home. We also offer three special styles to make your shades even more unique. These styles include Roman, Vertical Drapery, and Waterfall Roman. In addition to their style, woven woods offer a variety of functional benefits. These window treatments are perfect for filtering light in your home, so you can enjoy a more comfortable level of natural sunlight. 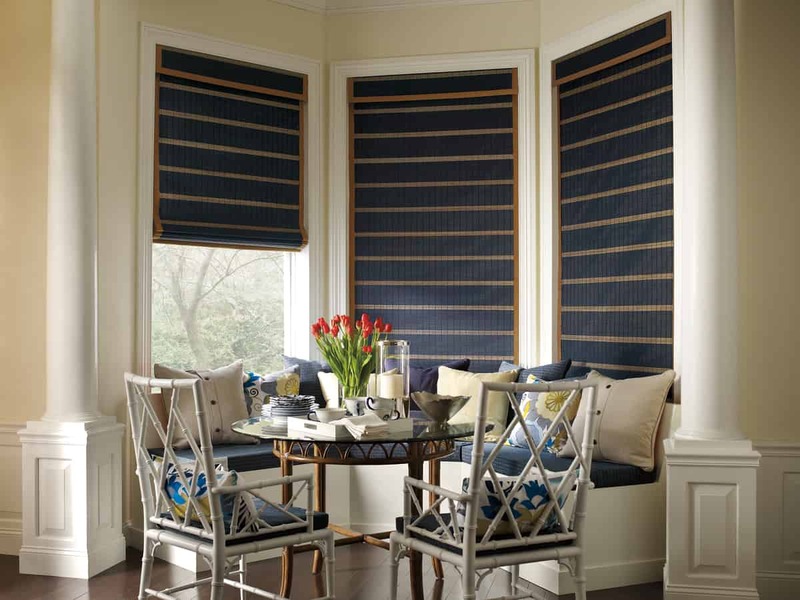 If you want more light control, we also have liners available on these window treatments. These liners can be operated independently or sewn directly into your shades, so you always get exactly the level of light control you want. Our Provenance® Woven Wood Shades are also available with PowerView® Motorization for added convenience. This innovative operating system allows you to control your window treatments with the push of a button on either the Pebble® remote or your smart device through the PowerView® app. This system can also be integrated with whole-home automation systems like those offered by Amazon and Google, so you can control them with your voice. If you’re interested in learning more about the amazing Provenance® Woven Wood Shades, contact the experts at Custom Blinds & Designs today. We have two showrooms conveniently located in Omaha and Lincoln, Nebraska, and we are proud to serve the Omaha metro area.